Morgan Sexton recalled that when he was growing up in Linefork, Kentucky, "my cousin, Press Whitaker, and me got some old lard buckets and cut the bottoms out and fixed us some banjos. They sounded awful, but we played them like they were real banjos." Sexton's father, Shaderick "Shade" Sexton, was a banjo player, and he began to teach his son to play, but shortly thereafter he became ill and died, leaving his wife, Harriet, with seven children and no source of income. "When I was about 11 years, I quit school to go to work for my uncle gathering crops. I was 13 when I worked in a sawmill for fifty cents a day. From there, I went to work cutting railroad ties," Sexton recalled. 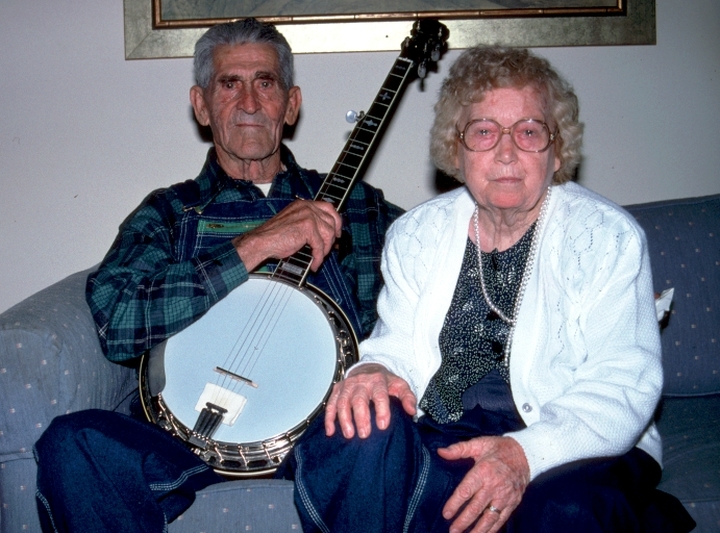 Despite the long hours and hard labor, Sexton continued to play the banjo, helped along by his sister, Hettie. 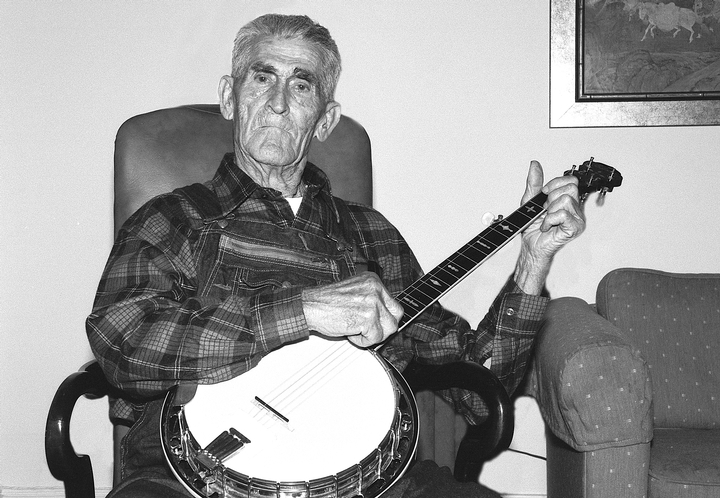 When he was 17, he bought his first real banjo for $10.86 from the Sears Roebuck catalog. "I had to walk four miles to Ulvah to pick it up," he said. "I played it all the way back home. I would try to play it every day when I got home from work." Sexton was 25 when he met and married his wife, Virgie Hayes. At that time, he was working "up on Bull Creek logging timber." A year later, he started working in the coal mines. "This was long before they started to use the rockdust [powdered limestone] they use now [to keep the coal dust down]." The conditions in the mines were oppressive, and by the time Sexton retired in 1976, he had contracted silicosis, a disease of the lungs caused by coal (or quarry) dust. Over the years, playing the banjo was a great joy for Sexton. Throughout his lifetime, he played for his family and friends, keeping active his repertoire of hundreds of traditional ballads, love songs and dance tunes. When neighbors came to his house, he liked to entertain them with his music and stories of his childhood in Kentucky. 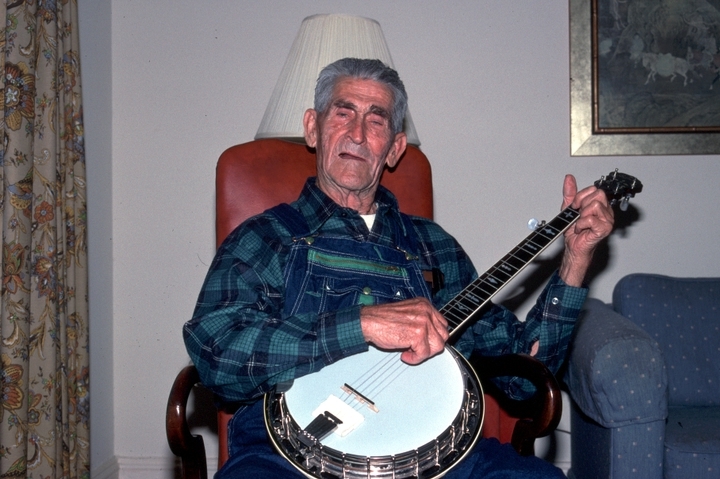 Everyone in Sexton's family played the banjo, including his mother, who died in 1947. Both Sexton's singing and instrumental styles were unaffected by contemporary influences and musical ideas. 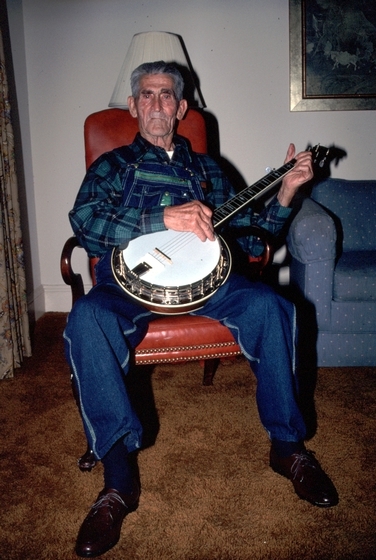 His banjo picking was a delicate and absolute individualized version of the Appalachian two-fingered style, liquid and serene, each melody using its own particular tuning in the old-fashioned way. Although Sexton usually played by himself, he was sometimes joined by his neighbor Boyd Watts, a fiddler, at schoolhouse events, at Christmas and in end-of-the-school-year programs. At square dances, however, the banjo alone was passed from one player to the next. Sexton, Morgan. Rock Dust. June Appal Recordings JA 0055. Morgan Sexton: Banjo Player from Bull Creek. Videotape, color, 28 minutes. Directed by Anne Johnson. Whitesburg, Kentucky: Appalshop Films, 1991.